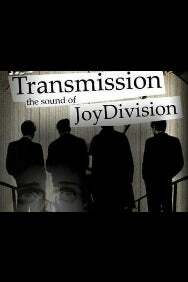 We do not curently have theatre tickets available for Transmission - The Sound Of Joy Division. This could be because we have simply sold out or it could be that this show is no longer running. The information on this page remains purely for historical and informational purposes. Playing the album in its entirety + other classics by Joy Division. Devoted to recreating the atmosphere of a live Joy Division gig, Transmission emulate the sound of one of the most inventive, evocative and influential groups of their era. Joy Division were formed in the late 1970s and dissolved in May 1980 after the untimely passing of lead singer Ian Curtis. The remaining members went on to form New Order and have achieved much critical and commercial success. The influence of Joy Division, however, was far reaching. They were considered the pioneering band of the post-punk movement of the late 1970s and early 1980s. More than 30 years on you can still relive the dark cavernous sound of Joy Division through Transmission the U.K's number one Joy Division tribute act.